Father Edwin Mathiot celebrated 50 years on July 3 since he was ordained to the order of priesthood in the Roman Catholic Church. 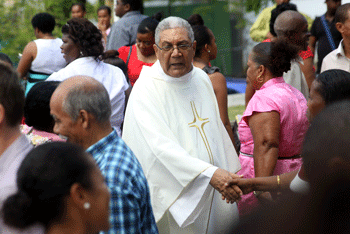 A special mass was held on Sunday to celebrate his golden jubilee. Father Mathiot — the first-born in a family of seven – has served in several parishes — the longest being 25 years in Bel Ombre, northern region of the Seychelles main island, Mahé. The 78-year-old — who is also the Vicar General and Chancellor of the Diocese of Port Victoria, Chaplain of the Seychelles Hospital and editor of the church publication L’Echo des Iles — believes he still has more years to give to the church. SNA met with Father Mathiot at his current parish residence at Mont Fleuri. He talks about life as a priest and the evolution he has witnessed within the church. SNA: Congratulations Father Mathiot on celebrating 50 years of priesthood. Did you always know you wanted to become a priest? So I went to see him at his place and he taught me Latin grammar which I had to know by heart. A few days later he asked me “wouldn’t you like to become a priest?” My reply to him was “I don’t know. I will try.” From then on the idea continued to dwell in my heart. SNA: So when did you really feel that becoming a priest was your calling? 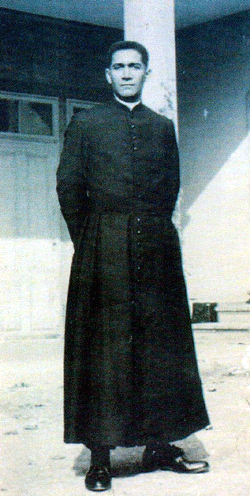 Father Mathiot: God called me through Father Chang-Tave. He didn’t call me directly. God uses all sorts of ways to do so. Under the guidance of Father Chang-Tave I had started to serve as an altar boy during mass. NA: How did your parents and peers react to your decision of becoming a priest? Father Mathiot: My parents didn’t object to the idea. However I heard later on that some people were saying that they didn’t think I would become a priest, so other people were doubtful my decision. When I met Father Chang-Tave, he was teaching religion at Saint John Bosco School where I did all my primary schooling. 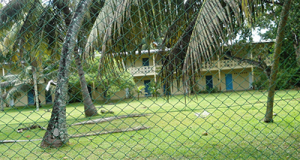 After that I sat for the entrance exam to join the Seychelles College. I later went to a college in Switzerland to study French literature, Latin and Philosophy. 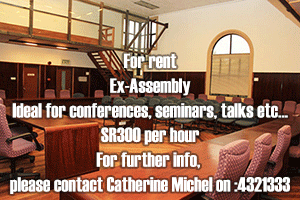 After two year at the College of Saint Maurice, I went to the ‘Grand Seminaire de Fribourg’ in Switzerland. There I met Father Gustave Lafortune who was already studying there to also become a priest. I spent five year at the seminary and on July 3, 1966 and I was ordained at the age of 28. SNA: Where and when did you first celebrate mass? What were your feelings on that day? Father Mathiot: I celebrated my first mass back in Switzerland on July 10. In Seychelles my first mass was on January 31, 1967 for the feast of Saint John Bosco. As I attended Saint John Bosco School, I was asked to lead the mass. It was a happy occasion being back home, seeing my people and parents after being away for seven years. 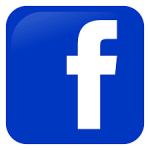 SNA: Did you face any major challenges during your endeavour to accomplish your vocation? Father Mathiot: Difficulties exist in marriage and even for those living a life of celibacy. This is also the case for priesthood. Sometimes you feel discouraged as things do not work out the way you want them to. What we are preaching is not exactly what the people are living and not what the world is promoting. Also, you may feel alone at times. During the day you meet a lot of people but at night you are alone. As a priest you have to obey what the bishop is telling you. If you want to remain a priest and you know why you became a priest, you have to obey although it is difficult at times. SNA: What does 50 years of serving the church mean to you? What have you accomplished during those years? 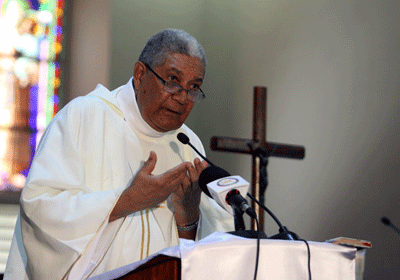 Father Mathiot: For 50 years I have been a servant of the people and the [Roman Catholic] church of Seychelles. Most importantly I have been serving God. It is a great accomplishment to be at the service of God. I love God and the Church. God called me and I accepted the calling. I have learnt a lot from people and I have also given a lot. The more you give, the more you receive. During those 50 years I have received a lot of joy. At times I meet people who ask me if I remember them. They end up being people I have taught catechism in school, people I have presided over their baptism, confirmation or wedding. These people remind me of my accomplishments. Another great achievement is when I see people grow to become spiritually mature. 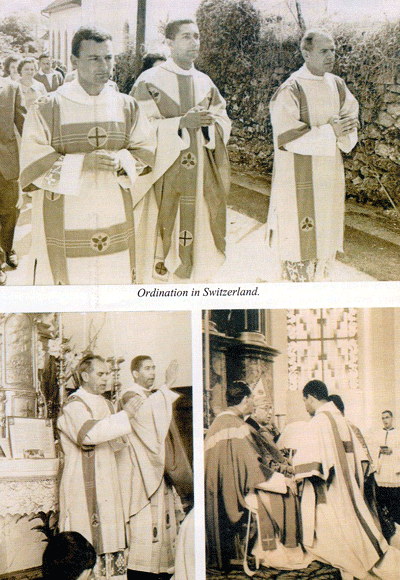 SNA: How would you describe the Roman Catholic Church in Seychelles today compared to yesteryear? Father Mathiot: It is quite different when compared to the days I started out as a priest. Firstly, there are less people coming church. Our churches are still full but not as full as before. 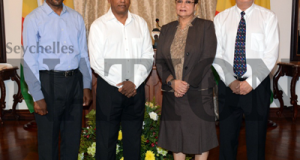 Back then there were only three religions in Seychelles, the Roman Catholic, Anglican and the Adventist. Today there are many others, so people are scattered among them and some have converted [to other religious beliefs]. 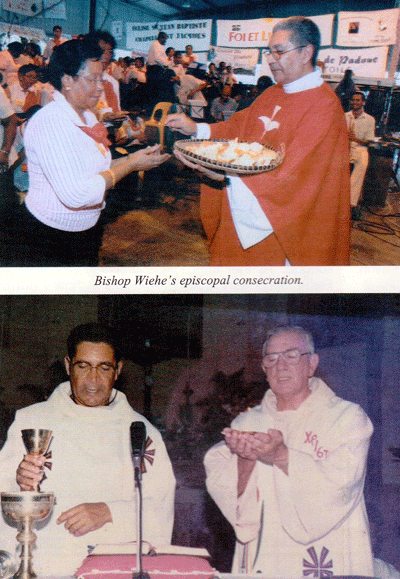 When I just came back to Seychelles I used to celebrate four masses at the Cathedral on Sundays. However, at the time there wasn’t any mass celebrated on Saturday. On Sunday mornings, we had a mass for the children which was packed but today you have to be after them to attend and if they do come its only for their first Holy Communion and Confirmation. It’s the same thing for the adults. SNA: What other changes have you witnessed in the church over the 50 years you have been serving as a priest? Father Mathiot: Adults and children used to have a lot of respect for the priests. Whenever you met people, a man for example, would remove his hat and greet you. When they were doing something mischievous and they saw a priest coming, they would run away. This is not the case nowadays. They are not afraid to even use swear words in the priest’s presence. The way church services are conducted have also changed. In 1967 masses were still done in Latin. Slowly we started using French. Not very long ago we introduced English and Creole [as] Seychelles has three languages. We’ve seen that people understand things more easily and clearly when it’s said in Creole. For those who do not speak Creole there are the other options. Fifty years ago we had Roman Catholic Schools. The churches had schools everywhere. We were following the government’s curriculum. Priests were school directors and we [other priests] taught religion in primary and secondary schools. In Primary schools there was a one-hour period of religion studies every day as the first class in the morning. Religion was as important as the other subjects. With the Coup d’état [in 1977], everything changed. The government took over the schools and gave us only two periods of religion per week. Religion no longer has the same importance as the other subjects. SNA: We have seen that fewer youths are choosing to pursue a religious calling. Is the church doing anything to encourage the youth to make a religious commitment? Father Mathiot: The church is working hard. We have a programme called ‘cherche ton etoile’ [find your star]. It is a program that helps boys and girls to recognise God’s call. They get to meet priests and nuns where they talk about the bible and pray. 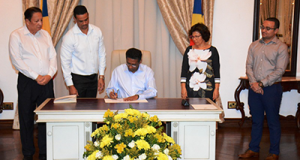 We are lucky to have three Seychellois boys studying to become priests. Sadly there aren’t any girls interested to become nuns. We believe that God continues to call young people to become priests and nuns but with today’s lifestyle it’s difficult [for them to notice the call]. We also have a problem within the family. The family is where vocation can be cultivated. Parents are not setting good example for their children. My parents never missed a mass. They made sure that we prayed and went to confession before [religious] holidays. In many instances today this is not really the case. SNA: You have served the church for 50 years. Are there any thoughts about retirement? Father Mathiot: I believe that I still have a lot more to give although I don’t know how long I will be able to keep up. I am 78 and I guess I will be able to work until 80 unless something happens. I will still be able to write something for L’Echo Des Iles, to listen to people’s problems, to bless their rosary, crucifix and houses, and to hear confessions. However, I am not too sure if it is possible to still be in charge of a parish after turning 80.